Glimpse behind the scenes at the low-life and high-life in the notorious KIT KAT CLUB – at the ALL-GIRLS BAND (or are they?) – at the high-kicking “want a good time” dancers – the exciting, no-holds-barred Sally Bowles and savour the welcome given by the androgynous EmCee (Master of Ceremonies). Hone in on Sally’s love life and the late flowering romance of her landlady, Fraulein Schneider, with Herr Shultz, all to the backdrop of 1930s Berlin and the inexorable rise of the Nazis. 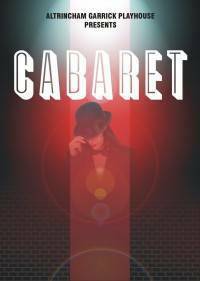 Hear again the hit songs “Tomorrow Belongs To Me”, “Willkommen”, “Two Ladies” and, of course, “Cabaret” itself. Don’t miss our repeat of this ever-popular musical.